Be the first to share your favorite memory, photo or story of Sylvester. This memorial page is dedicated for family, friends and future generations to celebrate the life of their loved one. Sylvester Johnnie Holmes was born on December 9, 1949 to the late Joe and Irene Lee Holmes. Sylvester, or SJ or J, as he was affectionately called, transitioned from this life on October 6, 2018 at his home in Lunenburg County, Virginia. Sylvester received his education in the Lunenburg County Public School System. On July 20, 1958, he was baptized into the Unity Baptist Church where he continued his lifetime membership. Sylvester attended Worship Service, Sunday School and sang in the choir. He served as Trustee and the Assistant Church Treasurer for many years. As a Trustee, Sylvester took pride in doing his best for the betterment of his church. Sylvester worked as a long-distance truck driver for many years. He enjoyed farming and loved his horses. His Western style was his trademark, from his hats to his boots. Sylvester loved his family and friends and loved hosting the family reunions. He loved to travel, and he enjoyed life. Sylvester was a friendly person who never met a stranger and would strike up a conversation with anyone he met. He impacted the lives of so many people through his kindness, generosity and enthusiasm in sharing his knowledge. He is preceded in death by his parents and three sisters, Annie, Mary and Janice. Sylvester married Janie Coleman and leaves to cherish memories a son, Calvin Sylvester. Later in life, he married Mary A. Hawkes, who preceded him in death, leaving to cherish memories his children Bridget, Michael and Daryl. Other children include Sylvia and Bianca. Sylvester also leaves to celebrate his legacy 17 grandchildren and three great grandchildren. He is survived by his siblings: Joseph Holmes (Pam), Isabelle Hilliard, Ernest Holmes and Delbora H. Jones; one aunt, Ruth Pace; one brother in law, Ricky Hawkes; one sister in law, Glenda Wilson; one godson, Mason Reese; two special cousins, Robert Dillard and Bernard Lee, Jr. and a host of loving nieces, nephews, other relatives and friends. Mr. Holmes may be viewed at W.E. 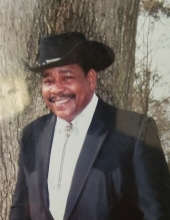 Hawkes & Son Funeral Home on Friday, October 12, 2018 from 10:00 a.m. until 6:00 p.m.
Funeral Services Saturday, October 13, 2018 at 12:00 noon in the All's Faith Chapel at Charles Thomas Funeral Home in Kenbridge, VA.
To plant a tree in memory of Sylvester J. Holmes, please visit our Tribute Store. "Email Address" would like to share the life celebration of Sylvester J. Holmes. Click on the "link" to go to share a favorite memory or leave a condolence message for the family.